News earlier this week that Mercedes is preparing the next SL with significant help from AMG probably shouldn’t have come as a surprise. 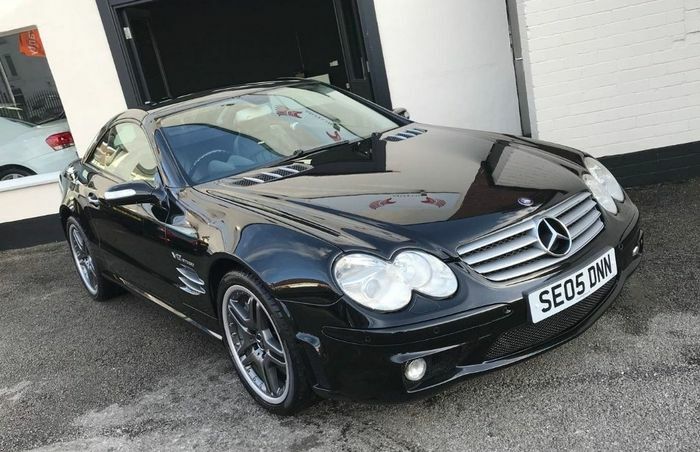 What did come as a shock was just how tangible the prices of our favourite bygone SL have become. The R230 has aged beautifully. What was seen as a restrained, even plain design at the time now looks mature, purposeful and elegant. It’s a real looker and marked the last time Mercedes used rounded four-unit headlights on the model, albeit linked into ‘eight’ shapes. 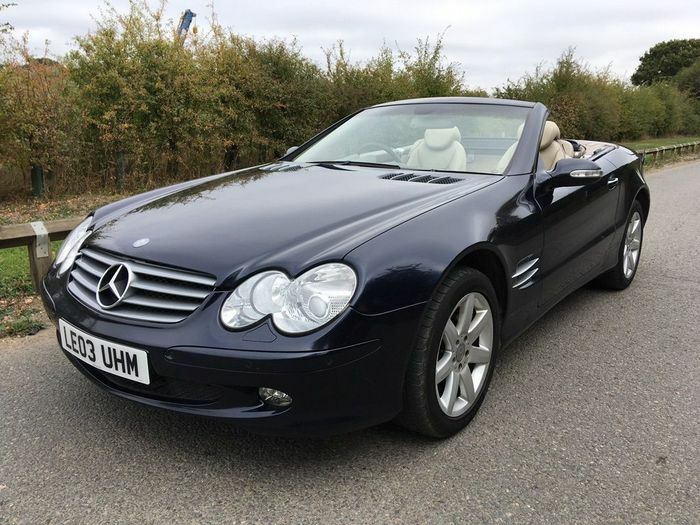 Prices now start from just a few grand, so it really is time to buy into the most gentlemanly convertible there is. 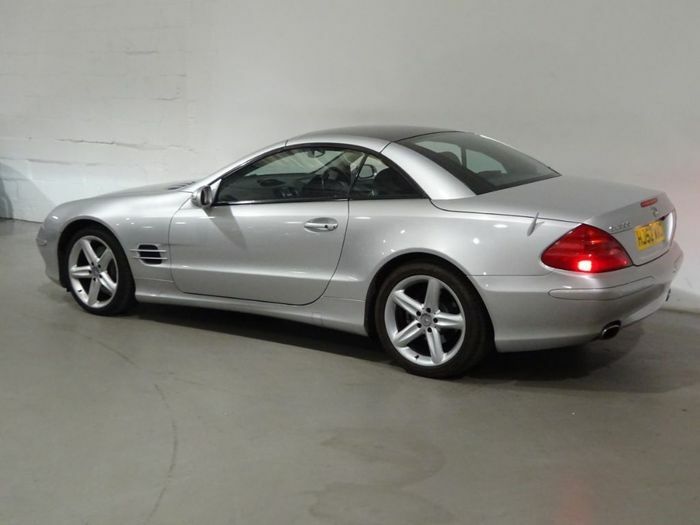 The cheapest R230 SL in the UK right now is this 3.7-litre V6 model. It hit the road for the first time in 2003, putting its 241bhp down through a relaxed automatic gearbox (as with all SLs). Since then it has covered 138,000 miles. All of them should have been in impressive comfort – this example rides on the smallest, standard wheel options and sensible-profile tyres. Complete with metallic blue paint and a beige interior it’s all delightfully old-mannish. There’s a short MOT to be concerned about, but at least it passed both its previous tests with advisories about rear brake hoses showing their age. Replacing them could be a job you could do yourself… maybe. It’s a steal for £3500. 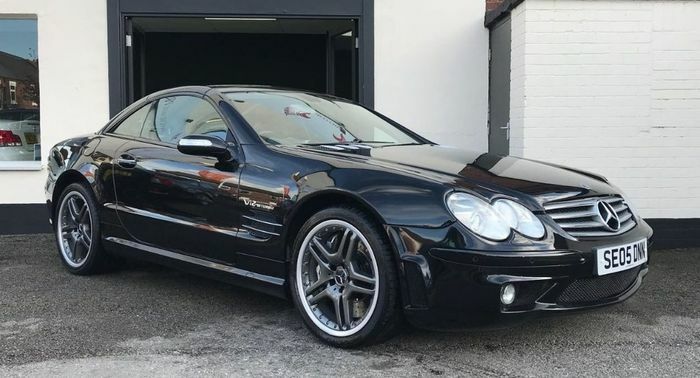 If you want a V8, and why wouldn’t you (he writes, with his financial blinkers firmly attached), then you’re looking at the smooth and charming SL500. Released as the launch model for the R230 it was the centrepiece of the range. It gave you 302bhp at a restrained 5600rpm as well as a heap of European V8 character. Measuring 5.0 litres it was under-stressed to say the least. Being a higher model by default it rides on 18-inch alloys and hides a kit list as long as your arm. A reversing camera was mighty tech in 2003 and in this silver example it sits alongside heated memory seats, cruise control, adjustable suspension modes, dual-zone climate control and more. Why aren’t you buying this right now? For those a little freer of wallet there’s the SL55. It used an enlarged and supercharged version of the SL500’s M113 V8, and boy, was it a good ‘un. It made a staggering noise, looked a million dollars and combined instant brutality with all-day refinement in a way that shocked the automotive world. 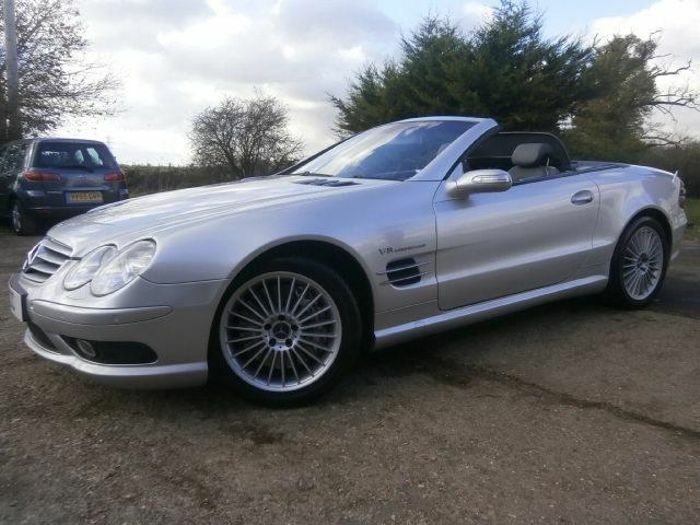 The cheapest we could find was this sub-£14,000 one, which makes it a hell of a lot of cabrio for your cash. Mind you, I don’t fancy having to clean those wheels. And finally, let’s say you’ve come into some money and you’ve got £30,000 to spend on a car to make you feel simultaneously like a mafia boss, a rap star and a chief executive of a Fortune 500 company. Mercedes built an SL65 with a 6.0-litre twin-turbo V12, and you want it. Here’s a black-on-black one for sale today. Hammer-blow performance, serious exclusivity and mechanical engineering to embarrass the space shuttle made it the ultimate SL. It was only built from 2004 to 2006, delivered 604bhp at just 4800-5100rpm and added 740lb ft of tyre-reducing torque. AMG was rightly proud, and so would you be if it was on your driveway.